This video series shows how to quickly create a Microsoft SQL Server Relational Database. In Part 4, we will demonstrate failover capabilities. 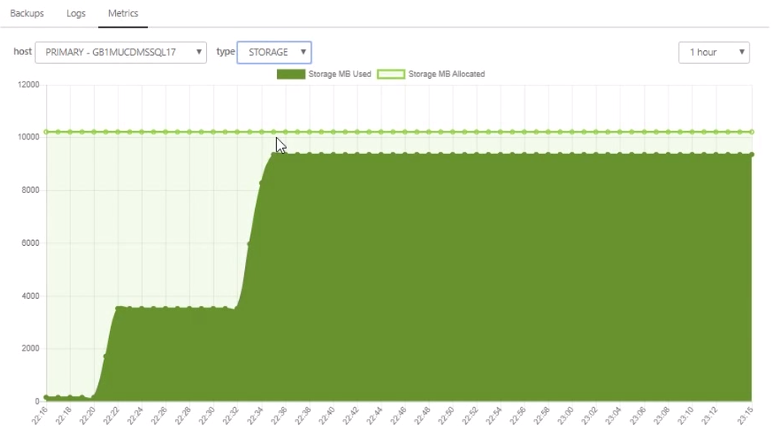 View the failover capabilities of your MSSQL Relational Database, by choosing Failover at the top of the management studio. You may see a warning about a potential data loss — this is a general warning so unsaved transactions aren't lost when you perform a failover. As long as your servers are up under Health in the Hosts section and Replication Health in the Info section, all transactions should be synched. When Failover begins, the Status in the Info section will change to Failing Over. At this point, your DNS record will change from one to the other. Storage will also change to the active replicant server from the previously active primary server. Repeat the steps to fail back to the original server, execute the query to view the database that's up, and the test is complete.